Younique BB Flawless Directions: Simply apply a thin, even layer using your fingertips or sponge. 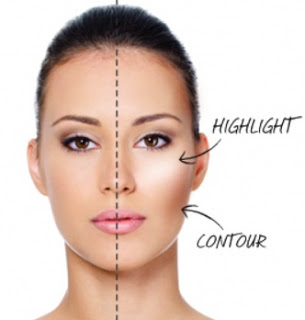 Highlighting and Contouring is becoming more and more popular because it is a simple way to accent and bring out your facial features for a more defined look. 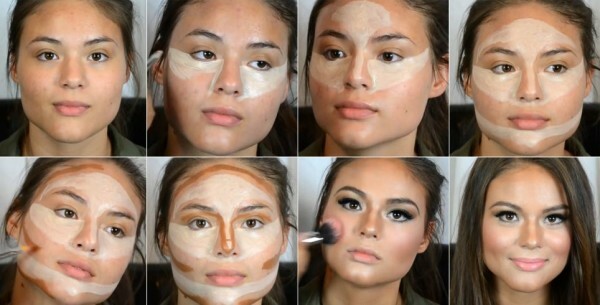 You can even look as much as 30 pounds lighter just by accentuating the right parts of your face. 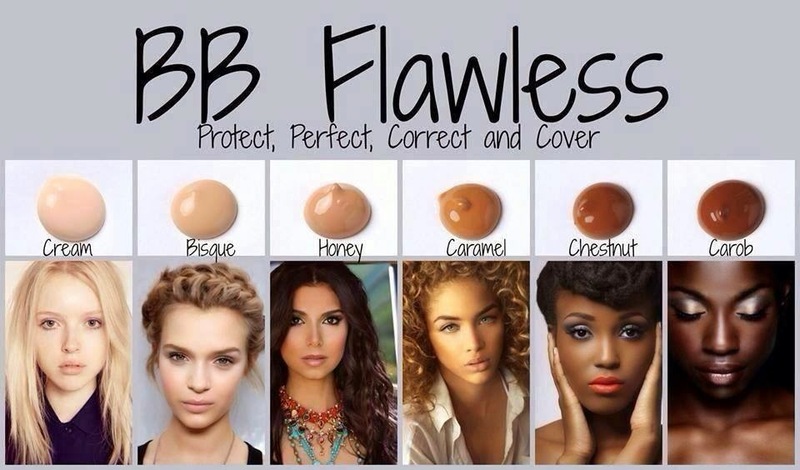 You can use BB Flawless in the lighter shades to highlight your forehead, nose, cheeks and chin and the darker shades to create larger cheekbones and a more pronounced jaw line. 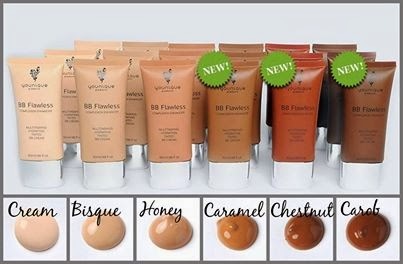 Younique BB Flawless Ingredients :Water, Glycerin, Butyrospermum Parkii (Shea Butter) Extract, Isononyl Isononanoate, Isohexadecane, Dimethicone, Betaine, Sodium Hyaluronate, Cetyl Peg/ppg-10/1 Dimethicone, Peg-30 Dipolyhydroxystearate, Polyglyceryl-3 Diisostearate, Allantoin, Magnesium Stearate, Bisabolol, Tocopheryl Acetate, Ethylexylglycerin, Iodopropynyl Butylcarbamate, Phenoxyethanol, Methsylisothiazolinone, Boron Nitride, Iron Oxides – CI-77492, CI-77015, CI-77499. Glycerin, derived from natural plant oil, is a non-toxic and non-irritating plant-based humectant, or moisture-preserver. Butyrospermum Parkii (Shea Butter) Extract is a vegetable fat obtained from the fruit of a tree native to Africa. Shea butter is primarily composed of fatty acids and serves as a skin-conditioning agent, as well as a rich source of antioxidants. Isononyl Isononanoate, derived naturally from cocoa and lavender oil, functions as a skin-conditioning agent. Isohexadecane is used as a cleansing, skin softening, and thickening agent. Dimethicone feels like silk on the skin as it works as an emollient (skin softener) and effective water-binding agent. Betaine preserves moisture in the skin and acts as an anti-irritant, delivering superior hydration to the skin, and giving the face a much smoother appearance. Sodium Hyaluronate, found naturally in the dermis of the skin, effectively holds onto water, and acts as a powerful humectant (moisture preserver). Cetyl Peg/ppg-10/1 Dimethicone is a skin conditioning and emulsifying agent. Peg-30 Dipolyhydroxystearate is an emulsifying and surfactant agent. Polyglyceryl-3 Diisostearate is used to condition the skin and stabilize formulas in the product. Emollient, surfactant, and emulsifier. Allantoin is an organic compound extracted from herbs (comfrey and bearberry) that protects skin from potential reactions to any ingredients. Magnesium Stearate is a magnesium salt of stearic acid, a naturally occurring fatty acid that works as an anti-caking agent, colorant, and moisturizer. Bisabolol is a fragrance ingredient naturally occurring in camomile. Also conditions and soothes the skin. Tocopheryl Acetate is considered a superior antioxidant, rich in Vitamin E.
Ethylexylglycerin is a synthetic skin-conditioning agent and preservative. Also acts as a carrier for other preservatives. Iodopropynyl Butylcarbamate is a preservative that is very active against fungi. Phenoxyethanol is a safe and effective cosmetic preservative. Methsylisothiazolinone is a preservative that is commonly used in rinse-off products such as cleansers or shampoos. Active against bacteria. Boron Nitride has absorbent properties similar to those of natural powders, such as talc. Iron Oxides – CI-77492, CI-77015, CI-77499 are compounds of iron that are used as colorants.